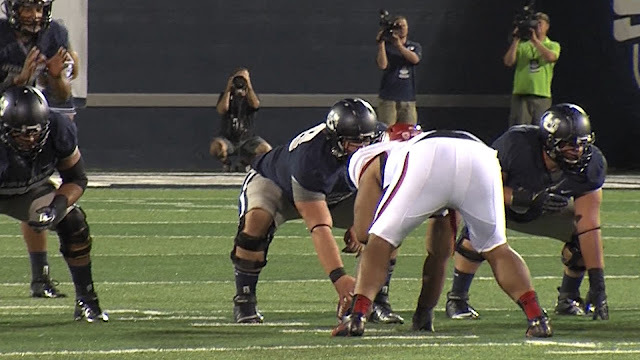 Utah State center Tyler Larsen was selected to Phil Steele's All-American Team, the announcement came Wednesday morning. He was named to the fourth team and is one of four centers in the country to be named to the list. This is the second honor in the last 10 days Steele has given Larsen; Larsen was named to the first team all-Mountain West team on May 26. Larsen is also on the Rimington Trophy watch list, the best center in the country, for the third straight year. Larsen is joined by 2 other Mountain West Conference players; Fresno State receiver Davante Adams and boise State defensive end Demarcus Lawrence, both named to the fourth team as well. Larsen is entering his senior season and is anchoring an offensive line that returns all five starters from last season.